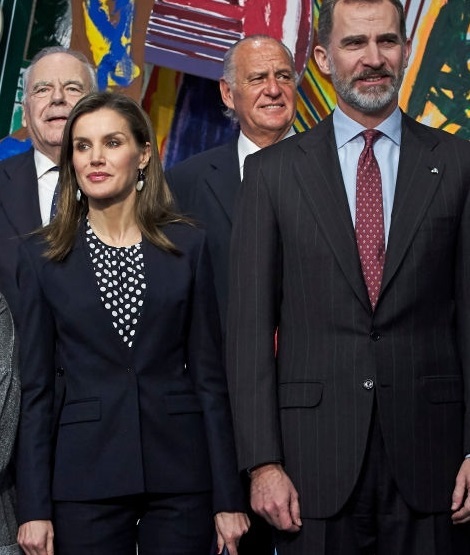 Today King Felipe and Queen Letizia of Spain presided over the ceremony of Delivery of the Gold Medals to Merit in the Fine Arts 2016 at Center Pompidou de Málaga. King and Queen arrivign at the event. The event was organized to recognize the people and entities that have excelled in the field of artistic creation, providing services or notoriously promoting the teaching, development and dissemination of the art or the conservation of national artistic heritage. 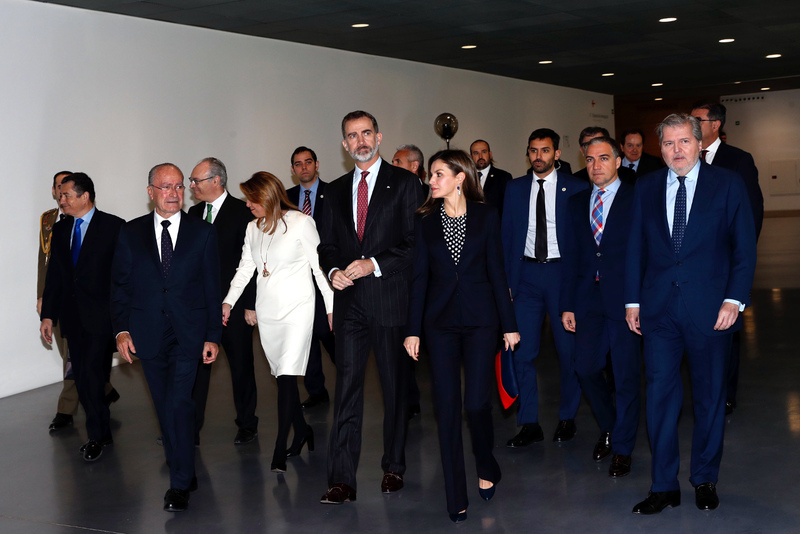 Speaking at the event, King Felipe stressed that “Therefore, we conclude that art makes us more free while culture must make us stronger as a society, as we know well Spaniards, we add so many centuries of shared history and so long tradition of artistic and cultural history in common, within the diversity that also characterizes our country “. 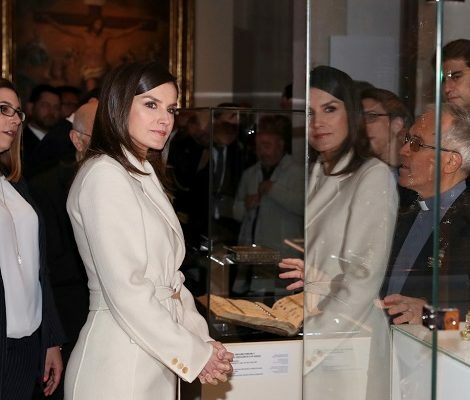 For the event, Queen Letizia chose a formal yet classy look. 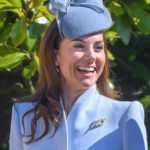 She premiered a navy coat from her go-to label Hugoboss. (Here shown in black). The ‘Casala’ Virgin Wool Coat offers effortless style with a soft fur collar lining and flared shape. An open front and a detachable self-tie belt offer styling versatility. The coat is already sold out. Underneath the coat Letizia was wearing another Hugoboss number. It was a new navy suit from the label. 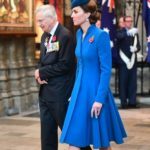 Queen pared the navy suit with Carolina Herrera blouse. 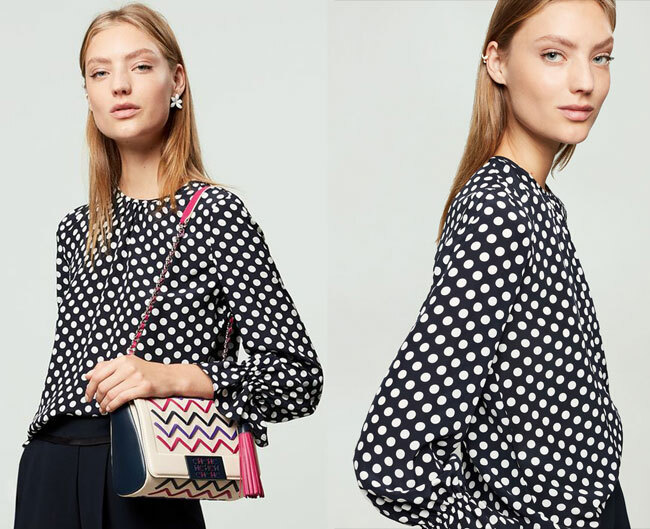 This Carolina Herrera piece is a crepe de Chine silk blouse with polka dot print. 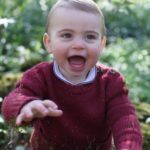 It features round neck, gathered cuffs and small back vent. 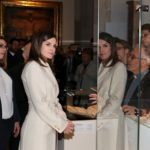 Letizia paired her outfit with white gold with diamonds, sapphire and cultured freshwater pearl earrings from TOUS. And bespoke ‘ Mila ‘ navy leather pumps from Magrit. 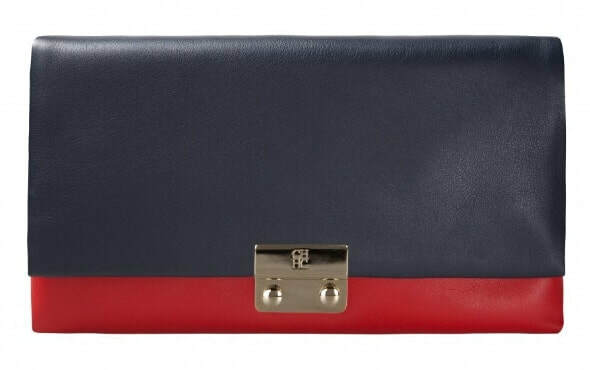 She carried her ‘Baret’ navy and red leather Carolina Herrera clutch.